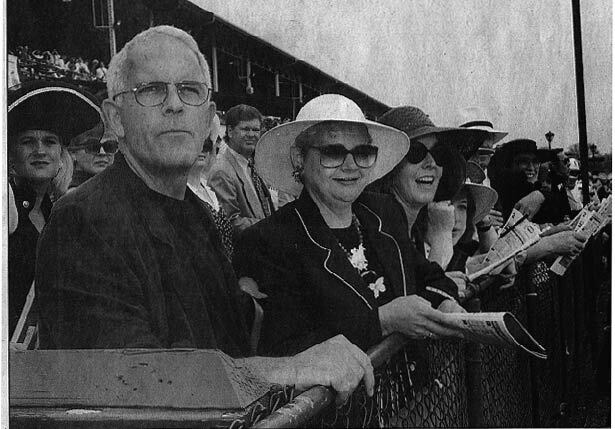 Michael Bloomer, left, of Boston, and Betsy Clark and Jill Fitzgerald, both of San Francisco, kept an eye on the horses. As part of the tour, junket participants got to meet Go for Gin, led to meet the group by Donnie Bussell. One of the sights that junket participants saw at Claiborne Farm was the grave of Secretariat, one of racing’s greatest horses. 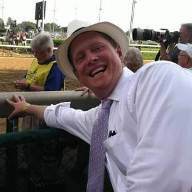 In half a century the Dempsey family has shown hundreds of Californians that there’s a lot more to the world famous Kentucky Derby than a two-minute Run for the Roses. 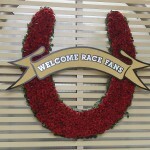 The annual pilgrimage of about 70 Californians to Kentucky started 50 years ago with four Los Angeles couples just wanting to see that horse race.Over the years, it has evolved into much more, said Jane Dempsey, whose parents started the Kentucky Derby Junket. So Dempsey gives Golden State residents a taste of all things Kentucky during their six-day stay. 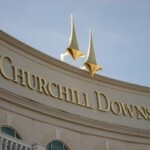 That means Makers Mark bourbon, Lexington horse farms and racetracks, hot browns and, of course, the Derby. The group gets the royal treatment from the moment the participants exit their plane in Louisville. They have coveted box seats near the finish line, a champagne breakfast and seats for the post position drawing on Wednesday. And in 1988 when Gary Stevens won with Winning Colors, the junket included dinner with the jockey. Of course, that kind of luxury comes at a price. “Every nickel is absolutely worth it,” said Jill Fitzgerald of San Francisco. She invested in a raincoat, rubber pants and shoes after her fifth junket two years ago, when front row box seats left her soaking wet. Hence the rain gear she had tucked under her seat yesterday. 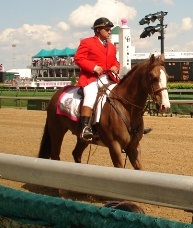 Kentucky traditions have rubbed off on Dempsey’s crew, which usually has about 40 Derby veterans. There was scarcely a woman on the junket this year that didn’t top her outfit with a signature Derby hat. “You have to have a hat. It would be un-Kentucky not to,” said Anne Robinson, who is doing her second junket. The trip also made a ton of money for Naomi Hansen of San Francisco. She bet on Pike’s Place Dancer, which won the Oaks yesterday. She shares the same trainer for her 10 horses. “My one goal would be to have a horse in the Derby,” Hansen said. 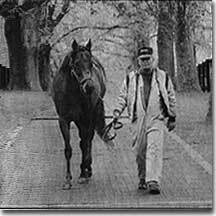 More than 40 years ago, Dempsey’s mother added a tour of Lexington horse farms to the junket. The routine started with Cathy Stafford’s mother ushering the group through Lexington. Stafford took over the tradition 17 years ago. There was a family reunion of sorts at Claiborne Farm for Jane and Jon Jernigan, who are on their first junket. They got to see Mr. Prospector, the grandfather of their first racehorse. Barbara Claus and her husband, Roger, who buy horses in their spare time, are on their ninth junket this year, and they’re already planning on No. 10.